The kid has just over a dozen fights, but in this age, seasoning isn’t prized like it was. Sort of makes sense, knowing what we now about CTE and such; the days of fighters tallying a hundred pro bouts over a 12-year span are pretty much over. So, it’s not so strange to hear a promoter talk about a prospect, like a Bakhtiyar Eyubov, who fights on Friday night in Kansas, with the degree of optimism that Dmitriy Salita does. Is he progressing like you’d hoped? Where is he right now? That level of confidence could be affected by the fact that “the kid” isn’t one…he’s 32. On Friday, in Kansas, he will take on Jose Luis Rodriguez (25-12, 13 KOs), a Mexican hitter who isn’t immune from being stopped. He’s been edged inside the distance four times to date. 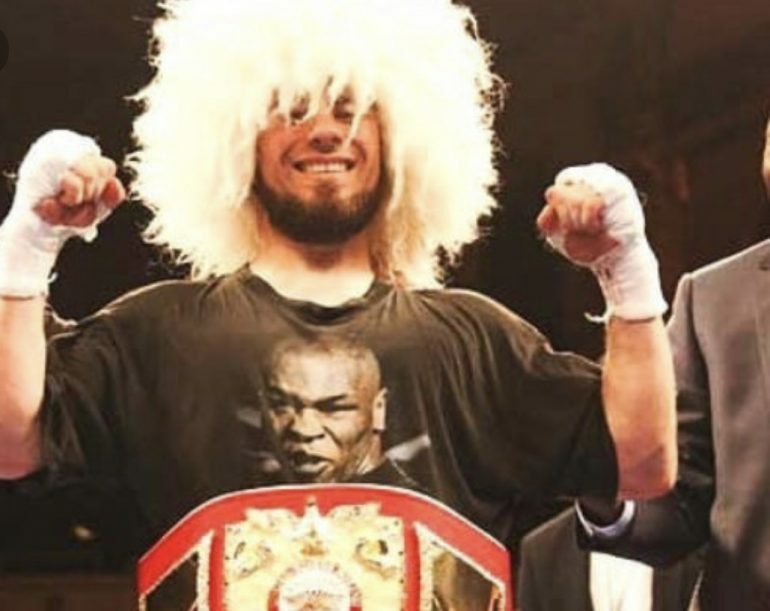 Watchers will be curious to see if Eyubov will be able to do what Sharif Bogere (in 2017) and Pedraza (in March 2018) were unable to do, stop the man. For the record, a Shojahon Ergashev vs. Mykal Fox super lightweight tango will headline the Kansas event, and the show kicks off at 10 p.m. Friday night on Showtime. And the Eyubov bout will run on UFC Fight Pass, the streaming label for the MMA powerhouse UFC, prior to Showtime’s selections being presented. The favorite was asked to label himself: prospect or contender. “I’m the prospect right now,” he answered. We’ve seen it; Eyubov has shark blood in him. When he senses he has done damage, he will go from 0 to 60 in a frenzy to seek to end the fight. He retains his balance pretty well when flurrying maniacally, so a foe should be ready to defend that. Eyubov isn’t a subtle practitioner, he comes in clubbing, whaling away, pressing forward and forcing his opponent to fend him off. He’s not terribly worried about what’s coming back at him, so we think moving forward he could be taking part in some trade wars. He’s been improving on not being static as he works his way in and does need to remind himself that bobbing and weaving are his friends. Eyubov seems as optimistic and confident about his future as his promoter does. What will his prospects look like at the end of 2019, I asked, and he said, “Definitely a champion.” But, he didn’t want to get out ahead of his feet. “Talk less, work more,” he added. The boxer wants to be known for his in-ring efforts and isn’t keen on sharing all that much of himself outside the ring. What are this fighters’ top traits? Is power his be all end all? “Power, physical strength, pressure, aggressive nature of his fighting style are all his top assets,” said Salita, doing his job well. “He is exciting for the fans watching live or on television and vertically, via a digital platform UFC Fight Pass, which is one such platform, one of the best brands in combat sports.